By now, you’re probably still not getting enough sleep but you are better adjusted to your schedule as a mom. Your baby is interactive and doing a lot of things now – he has rolled over, he’s sitting upright with no help, and he is probably trying to pull himself up to a standing position. He must be super curious about food now. He follows a spoon with his eyes as it travels from the table to your mouth. He probably even asked for a morsel or two. He’s a lot bigger, and you’re probably wondering where the time has gone. But at the same time, you’re excited about the adventures that are yet to unfold before him. One of these adventures is learning how to drink from a glass like a grown up. No doubt you have tried holding a cup up to your baby’s lips so he could lap up some water – and he must have enjoyed it a lot. But let’s be real, you can’t really hold up a glass for your little one all the time and he will want to hold it on his own “like mommy and daddy.” So the best thing you can do is help baby transition by using a sippy cup. Buying a sippy cup for baby is like giving him his first step towards independence. With a sippy cup, baby can feel in charge of when and how much he drinks. It also gives him confidence that he could help himself even if it is just in the aspect of quenching his thirst. It’s an exciting time for him because he’s transitioning from baby to toddlerhood – although he won’t officially be toddler for a while. So, are you ready to buy a sippy cup for your toddler or bigger baby? One of the primary considerations in selecting a sippy cup is its spout. The spout is the part of the cup that comes into contact with your child’s mouth and, therefore, can affect the formation of your child’s teeth. So just as you carefully selected teats for your child’s feeding bottle, you must take as much care in choosing your child’s sippy cup spout. We have listed four kinds. Soft Spout. Soft spouts can be made of silicone or plastic. They have some give and may be described as chewy much like your child’s pacifier. They are a good option when transitioning to a sippy cup for the first time because of the suckling action required to draw out the drink inside. The major knock on soft spouts is that toddlers might get fixated on suckling and might refuse an open drinking cup later on. Additionally, your toddler will need to exercise other muscles in his mouth (such as closing his lips around a straw) to help him develop his language skills. So if you choose a soft spout for your child, plan on using it for only a short period of time. What are the features to look for when buying a sippy cup? Once you have decided which spout (or spouts) you will be buying for your child, it is time to start considering some sippy cup features. The sippy cup market is big and you might find yourself standing in front of a shelf full of colorful cups not knowing where to start. But don’t you worry. That’s what we at ParentsNeed HQ are here for and we have broken down the different cup features for you. Glass. Glass is a great material for a sippy cup. It is an inert material that does not leech any harmful chemicals onto your child’s drink even if it is heated. It is durable and is resistant to scratches. The disadvantage is that it is heavy and breakable which makes it an accident prone combination for little hands. If you choose to go with glass, pick those wrapped in a silicone sleeve and hold out on buying one until your child is older. Sippy cups come in a variety of shapes designed to fit into your little toddler’s hands. But they could be categorized into three basic shapes: short and wide, contoured, or tall and slim. Your baby will likely be most comfortable starting with the short and wide sippy cups because they are easy to lift by short chubby arms. They also have handles on either side to make it easy for little hands to hold. Sippy cups of this shape also hold the least amount of liquid, this means that it won’t get too heavy for first timers.Your baby will likely be most comfortable starting with the short and wide sippy cups because they are easy to lift by short chubby arms. They also have handles on either side to make it easy for little hands to hold. Sippy cups of this shape also hold the least amount of liquid, this means that it won’t get too heavy for first timers. Contoured cups are a little taller than the short and wide sippy cup, but they taper in the middle to form a ‘waist.’ The contoured center helps little hands grip the drinking cup. It won’t difficult for toddlers to hold a contoured cup because it pretty much is the same as gripping their feeding bottle. Tall and slim sippy cups are usually given to bigger toddlers because they contain more liquid. Bigger toddlers also have longer arms so they have the ability to lift a tall sippy cup. Sippy cups with handles are a good idea for little hands to be able to hold them. Cups may have a single handle or one on either side. 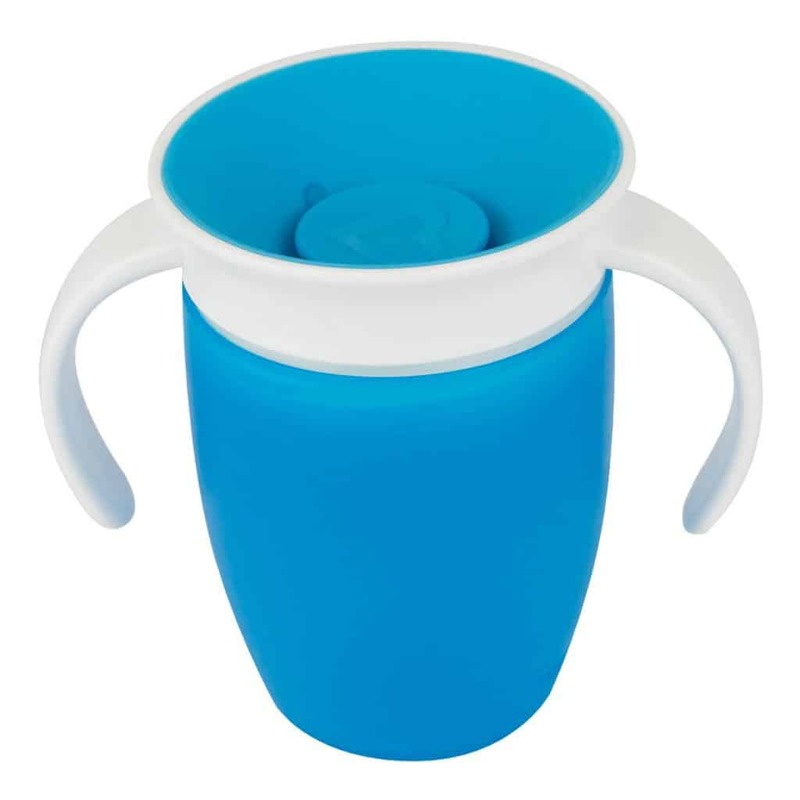 You might like to check out sippy cups that include handles in a ‘system.’ A drinking system will allow you to detach the handles of your child’s sippy cup when he no longer needs or wants them. 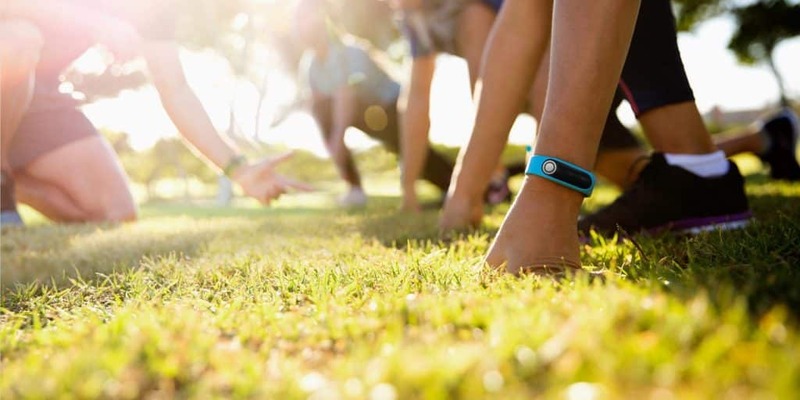 A leak-proof cup is a huge convenience if you are going to go for a car ride or a stroll in the park. Leak proof sippy cups usually have valved spouts so that the liquid can be dispensed more easily. If you buy a leak-proof sippy cup with a valved spout, just make sure that you clean them thoroughly between uses. By the time your baby needs to transition to a sippy cup, they will also be teething. Teething toddlers are avid chewers and can do considerable damage to their sippy cup spouts. So you may want to buy a brand that carries replacement spouts. It may cost you a lot less than buying a whole new cup. Some sippy cups, especially valved hard spout models, can have a lot of parts. You want to make sure that the one you pick is easy to clean thoroughly because missing a spot could become a real health hazard. Lately, there have even been reports online of parents discovering molds in parts of their child’s sippy cup that they didn’t know should be cleaned. So in order to avoid this happening to you and your child, it is best to get a sippy cup with as few parts as possible. Each child develops differently and not one is better than the other. That said, you don’t really need to wait too long to introduce baby to a sippy cup if he shows interest in drinking from a cup or glass. Nor do you need to rush a child and force him to use a sippy cup if he is over six months. Some babies go straight from the breast or bottle to a regular glass. So when it comes to knowing when or if baby needs a sippy cup, take your cue from baby. Toddlers love the sense of independence that a sippy cup gives them because it gives them access to their drink all day. If you put juice or milk in the cup, the chances that your baby’s teeth will be soaked in sugar all day is higher, putting your baby at risk for tooth decay. To prevent this from happening, limit the juice to meal times and then just fill the sippy cup with water the rest of the time. Don’t let your baby get in the habit of walking or running with his sippy cup. He is just beginning to walk and he is prone to tripping. Falling over with a sippy cup in hand may cause injuries. Don’t leave your child’s sippy cup under the sun. Leaving a sippy cup in hot places encourages the growth of bacteria and increases the risk of spoilage. You can never be too careful with the little ones. If your baby likes to pretend to drink from “grown up cups” already, go ahead and skip the soft spout in favor of a natural drinking cup style. It helps exercise muscles that won’t otherwise be exercised with a soft spout. And because a natural drinking cup actually does not have a spout, it does not get in the way in the formation of your child’s teeth. We are so into the idea of letting toddlers use a sippy cup that lets them drink like grown-ups. And if they can mimic drinking from a real cup and exercise their speech muscles simultaneously, then it’s even better. This is why we chose the Munchkin Miracle 360 Sippy Cup to be our top pick for the best sippy cup for toddlers. Depending on their skills, a natural drinking sippy cup can be used by kids as early as 6 months of age. However, if your baby is not willing to move to a natural drinking sippy cup, you may want to select one with a spout. We at ParentsNeed HQ have rounded up our Top 5 Best Sippy Cups for toddlers and we are sure one of them will be appropriate for your little one.